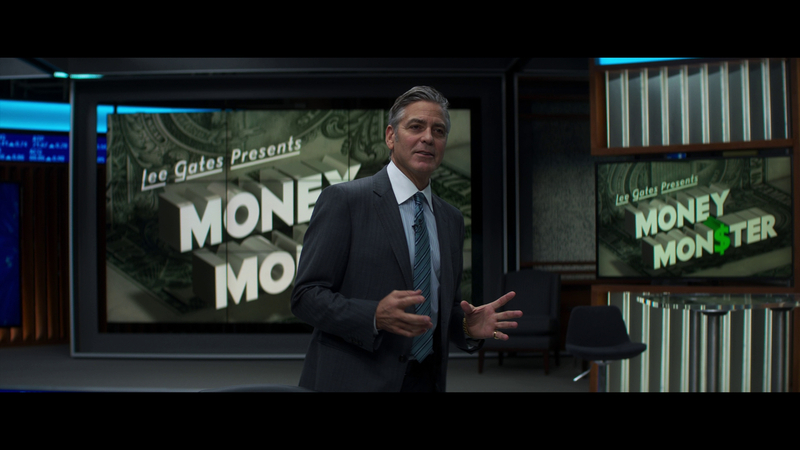 Despite more than competent direction from Jodie Foster and typically good acting by George Clooney and Julia Roberts, Money Monster underwhelms. 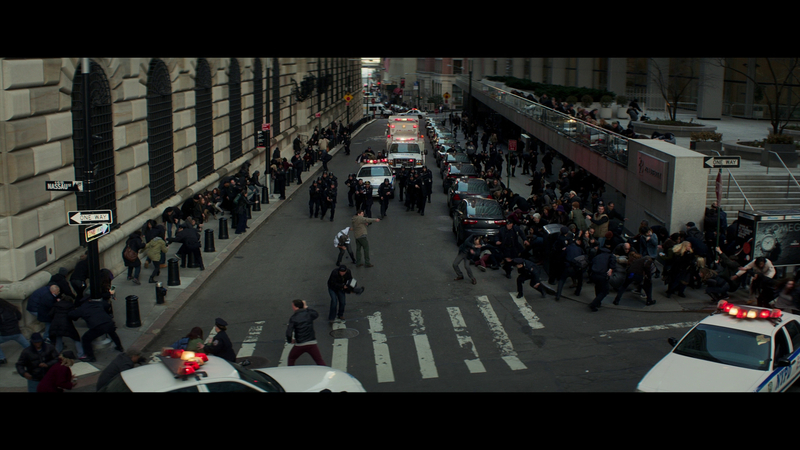 The film desperately wants to be relevant and topical, but somehow comes off as dated and familiar. Clooney plays TV personality/financial counselor Lee Gates, and Roberts remains behind the scenes as the show's director, Patty Fenn. 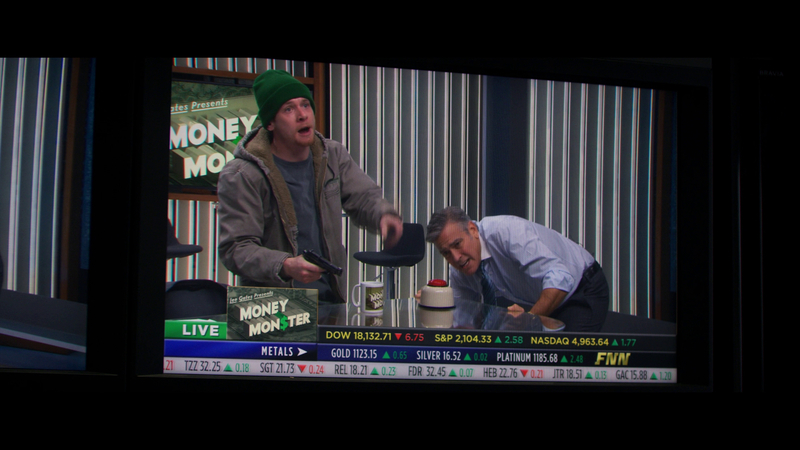 Kyle Budwell (Jack O'Connell), a young man angered by the loss of his entire fortune in the stock market, takes Gates hostage on his own show, rendering the host uncharacteristically without much to say. Fenn works to track down Walt Camby (Dominic West), the CEO of an investment company whose stock recently tanked, costing investors over $800 million, after Budwell demands answers from Gates, who recommended the stock. It is telling that actress Emily Meade absolutely steals the show as Budwell's girlfriend, Molly. In one short scene she eviscerates Budwell and totally overshadows Clooney and Roberts, which leaves the remainder of the film feeling a bit perfunctory. 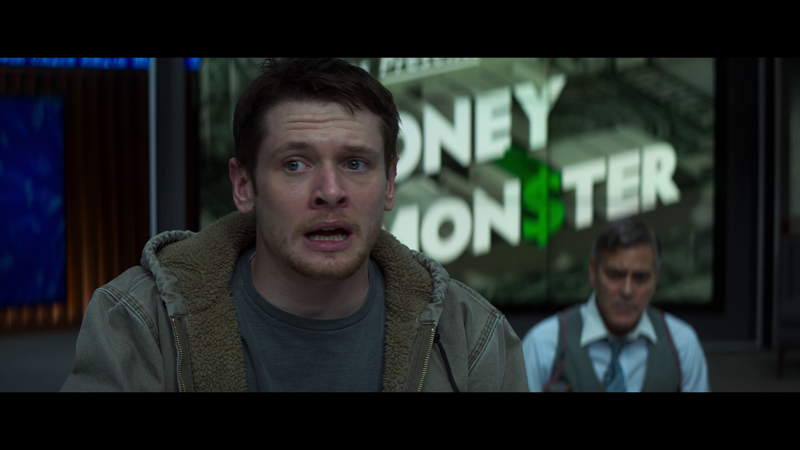 I cannot quite put my finger on the cause, but Money Monster feels too sterile, too calculated to create much tension. There are several problems here: First, casting Clooney as the lead actually lessens the tension, as there are just some things that will not happen to our leading man. At this point, Clooney's larger-than-life persona tends to overwhelm his characters, and I could not stop seeing George Clooney with a gun to his temple instead of his obnoxious, money-man character. Second, the related conspiracy involving Camby's company is just not that interesting. I won't spoil the specifics, but Foster and her three screenwriters create a totally pedestrian financial shake-up straight out of other older and superior films. 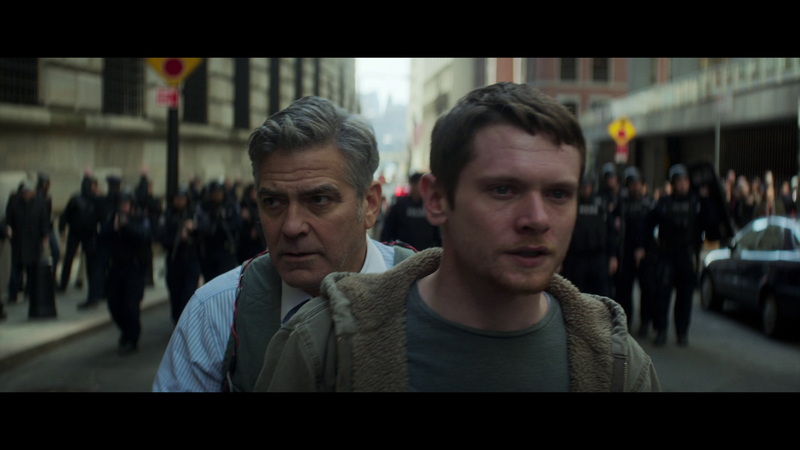 Since neither the conspiratorial undercurrent nor the immediate action are particularly engaging, Money Monster suffers despite moving along at a reasonable clip. Roberts is good here, embracing a smaller character for her buddy Clooney. 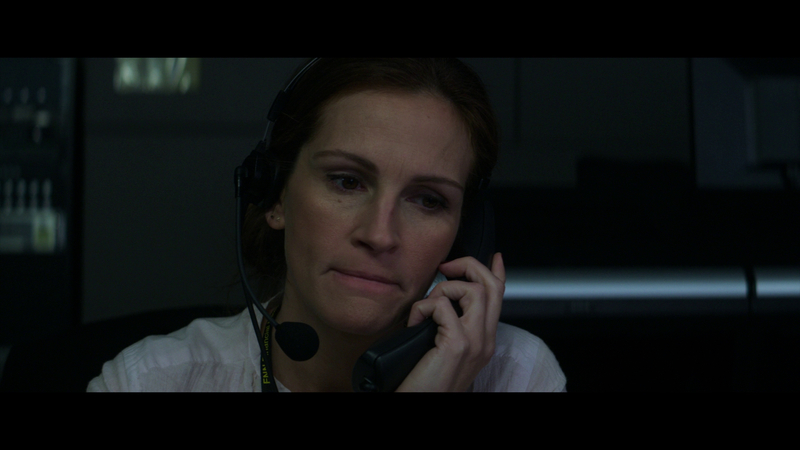 Most of her dialogue is delivered over Gates' earpiece, and Roberts turns in an un-showy, voice-heavy performance without much screen time. Clooney is expectedly good, but, again, his charisma is both a strength and weakness in a movie like this. I've noticed that recent Clooney films like The Ides of March and The Monuments Men, studiously constructed as they may be, struggle with turgid narratives and a lack of surprise. 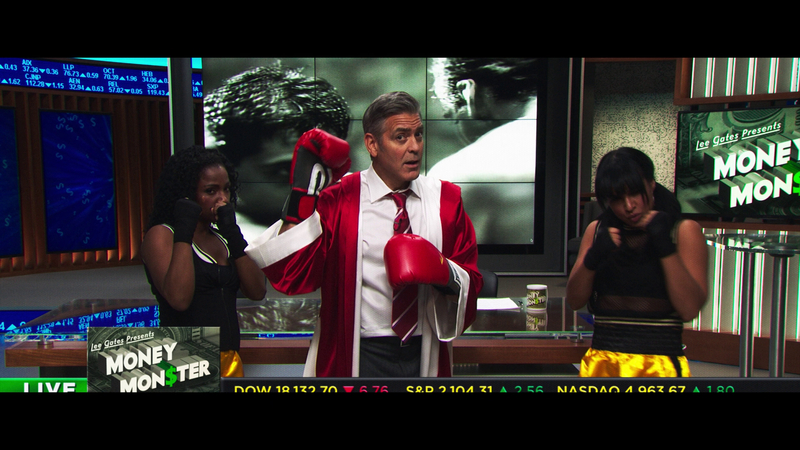 Perhaps Clooney has gotten too comfortable being Clooney. Projects simply come too easily to take risks, though who can fault him for working with friends. Even so, I long for the days when the actor played more dangerous characters in films like From Dusk Till Dawn and Out of Sight. This is Foster's fourth time directing a theatrical feature - her last outing was the kooky The Beaver - and she certainly holds her own behind the camera. 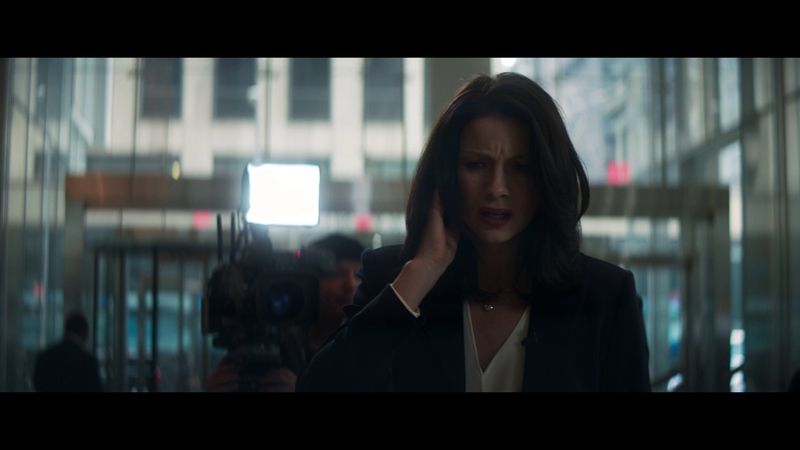 Money Monster moves forward at a decent clip, and is skillfully edited by Matt Chesse to include all the revolving characters, like Camby's communications chief, Diane Lester (Caitriona Balfe), who begins to unravel the mystery. There is nothing particularly bad about Money Monster, but it fails to make much of an impact or build tension despite its high-stakes plot. It wants to sucker punch Wall Street, but the blow never lands. 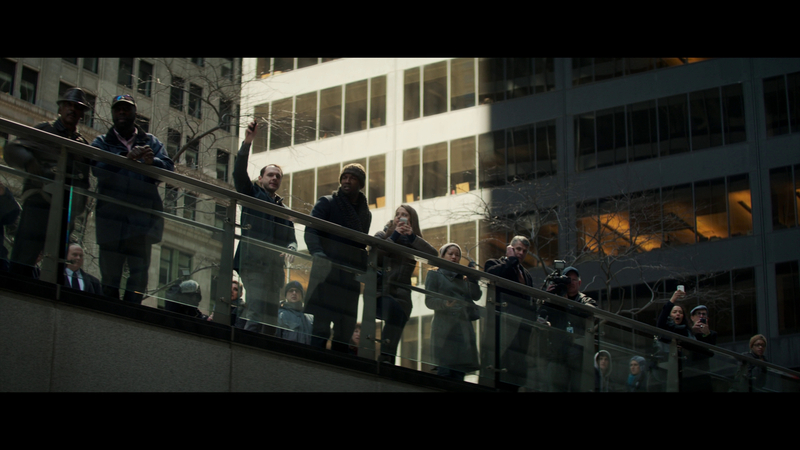 A highlight is Meade, whose character is introduced to talk to her boyfriend off the ledge, but she ends up doing just the opposite. This one biting moment is the most honest in a film that could have used a dose of harsh reality. 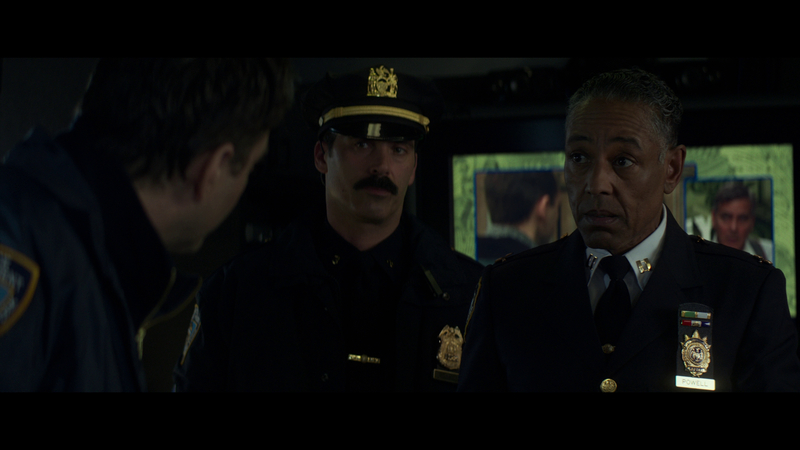 The 2.39:1/1080p/AVC-encoded image from Sony is crisp and clean, with strong fine-object detail and texture. The busy television studio offers plenty of detail in the knobs, monitors and digital information constantly scrolling across various screens. Skin tones are accurate, black levels are steady, and shadow detail is good. This is not a flashy transfer, but it is free from source flaws and digital tinkering. The 5.1 DTS-HD Master Audio mix is largely front-loaded, which is to be expected from a dialogue-heavy movie. That dialogue is crisp and without distortion, and light ambient effects make effective use of the surrounds. All elements are layered appropriately. French and Portuguese 5.1 DTS-HD Master Audio mixes, an English DVS track, and Spanish and Thai 5.1 Dolby Digital mixes are included, as are English SDH, Cantonese, Chinese, French, Indonesian, Korean, Portuguese, Spanish and Thai subtitles. This single-disc release is packed in a Vortex case that is wrapped in a standard slipcover. An insert offers a code to redeem an UltraViolet digital copy. Extras include three Deleted Scenes (2:23/HD); George Clooney: The Money Man (5:27/HD), about the actor and his character; Inside the Pressure Cooker (9:55/HD), a brief making-of; Analysis of a Scene: The Showdown (7:09/HD), about filming the climactic scene; and a Dan the Automator Music Video (3:05/HD). 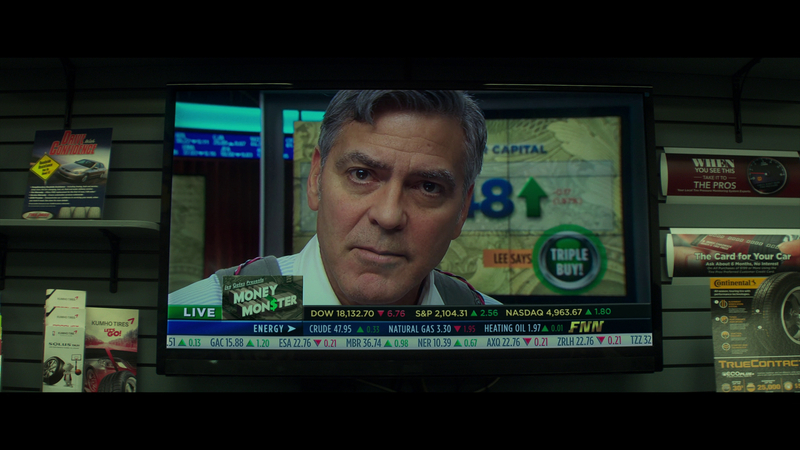 Competent but forgettable, Director Jodie Foster's Money Monster does not live up to its high-stakes premise despite good performances by George Clooney and Julia Roberts. The movie feels too safe and lacks surprises, and is not worth purchasing. Rent It.